Corporal Alan Adams received the Queen's Commendation for Valuable Service in Northern Ireland . Appointed M.B.E. (Military Division)(rank Warrant Officer Class 1) in recognition of gallant and distinguished service in Northern Ireland 2004/5 . 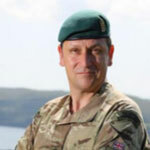 Short Service Commission (late entry) Regular Army Intelligence Corps - 12 January 2005 Alan Maclean Adams (563268) to be Captain on probation (formerly Royal Marines) . 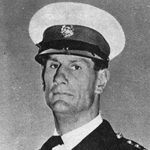 Sergeant Brian Allan was appointed M.B.E. (Military Division) in recognition of gallant and distinguished services in Northern Ireland during the period 1st April to 30th September 2003. London Gazette Supp. 57269, page 5129. Marine David Allin died in service, cause not known to this archive. 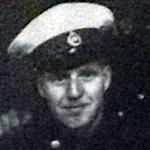 Corporal Clive Allison was attached to HMS Broadsword at the time of his death. Colour Sergeant Wayne Barfoot received the Queen's Commendation for Bravery in recognition of gallant and distinguished services in the field during the period 1st October 2010 to 31st March 2011. London Gazette Supp. 59924, page 18717. Colour Sergeant Phillip Barlow received the Queen's Commendation for Valuable Service in recognition of gallant and distinguished service in the field during the period 1 April to 30 September 2016. Corporal David Barnes died whilst serving at RM Deal. 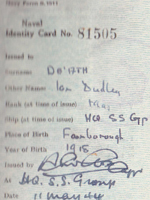 Details of any Commando service and circumstances of his death are not known to this archive. Acting Lance Corporal Richard Bartle received the Queen's Commendation for Bravery in recognition of gallant and distinguished service in Afghanistan in 2014. Sergeant Nicholas Beasley died 2 weeks before his retirement after 22 years service. At the time he was serving on the staff at the Royal Navy's basic training establishment, HMS Raleigh, in Cornwall. His career included service in Iraq and tours of duty in Northern Ireland. 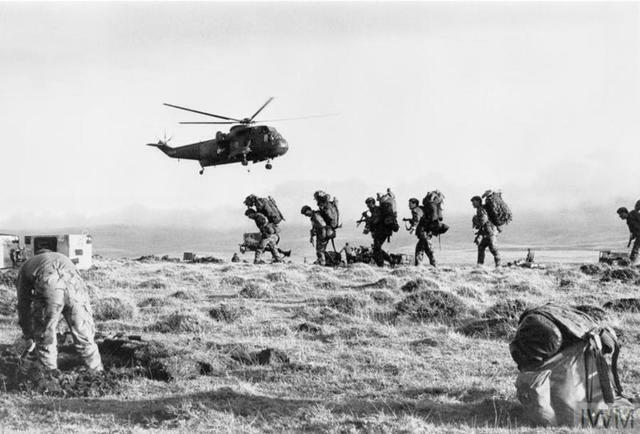 Corporal Michael Betteridge was awarded the Queen's Gallantry Medal in recognition of gallant and distinguished service in the field, dated 20th June 1994. London Gazette Supp. 54212, page 15370. 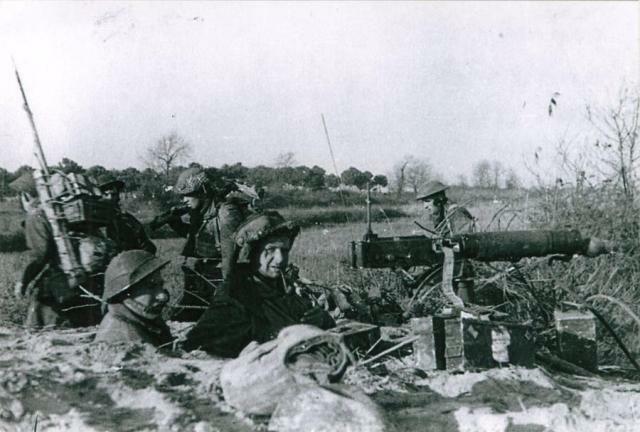 Marine Arthur Booton was serving at RMB Eastney at the time of his death. Corporal Adam Carter received the Queen's Commendation for Valuable Service in recognition of gallant and distinguished service in the field during the period 1 April to 30 September 2016. Major Niki Cavill was appointed M.B. E. (Military Division) in recognition of gallant and distinguished service in Afghanistan during the period 1st April 2011 to 30th September 2011 . Sergeant Robert Colley was awarded the Distinguished Service Cross in recognition of gallant and distinguished service in the field during the period 1 January to 30 September 2015. Major Steven Cotton received the Queen's Commendation for Valuable Service in the field during the period 1 October 2015 to 31 March 2016 . 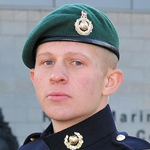 Junior Marine Richard Coulter died in an accident. Marine Paul Cruden received The Queen's Commendation for Brave Conduct in recognition of service during the operations in the South Atlantic. Lieutenant Robert Cundy received the Queen's Commendation for Bravery in recognition of gallant and distinguished service in the field . Corporal Tony Day was awarded the Conspicuous Gallantry Cross in recognition of gallant and distinguished services in Afghanistan during the period 1st October 2001 to 31st March 2002. Captain Nils Dingwall received the Queen's Commendation for Valuable Service in recognition of gallant and distinguished service in the field. Captain Ross Drinkwater was appointed M.B. E. (Military Division) in recognition of gallant and distinguished service in Afghanistan during the period 1st April 2011 to 30th September 2011 . Major James Dutton received the Queen's Commendation for Valuable Service in recognition of gallant and distinguished service in the field during the period 1 April to 30 September 2016. Sergeant Alexander Farrant received the Queen's Commendation for Valuable Service in Afghanistan in 2011. Sergeant Shane Fisher was awarded the Military Cross for gallant and distinguished services in Afghanistan in 2009. London Gazette Supp. 59366, page 4834. 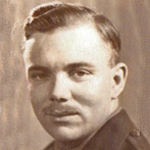 Sergeant Ian Fisk received a Mention in Despatches in recognition of service during operations in the South Atlantic. Major Nicholas Foster received a Mention in Despatches in recognition of gallant and distinguished service in Afghanistan in 2011 . Corporal Lewis Frisby received the Queen's Commendation for Valuable Service in Afghanistan in 2011. Lance Corporal Steven Fyfe received a Mention in Despatches in recognition of gallant and distinguished service in Afghanistan. Corporal Tony Galacki received a Mention in Despatches in recognition of gallant and distinguished service in Afghanistan in 2010. Colour Sergeant Alexander Gibb received a MiD in recognition of gallant and distinguished services in Sierra Leone in 2000. London Gazette Supp. 57070, page 12067. Captain James Glancy was awarded the Conspicuous Gallantry Cross in recognition of gallant and distinguished service in Afghanistan in 2012. London Gazette Supp. 60456, page 5738.